Are Retirees a Good Hire? You’ve got your small business going, but now you are looking to hire some help. Are you worried about finding the right help, and even where to look? It’s not a bad idea to consider hiring older workers, those that have retired from their careers but still looking to work. You may not realize all the pros to hiring retirees. Let’s take a look…. Strong integrity, honesty and motivation – Older people who want to work usually have strong integrity, honesty and motivation. They want to be there and take pride in their work. The older generation values honesty and tends to work hard and do their best no matter what they are doing. Punctuality – Retired people are usually very prompt and punctual. Working for you may be the highlight of their day, unlike younger people who want to get out of there and onto other things. They’ll get to work on time and be ready to work with a good attitude. Dedication – This goes along with taking pride in their work – what they are doing is meaningful. They’ll also be dedicated to you and there are many instances where it’s the older, part time employee who finds the tiny mistakes and saves the company lots of money. Great experience and attitudes – Not only will many older employees have good experience regarding the job to bring to you, but they have great life experience. Lots of older people have learned not to sweat the small stuff, and they don’t bring the drama that younger people have surrounding them. They don’t have the egos of the younger guys, either, and can take critiques a little better. They also can add a great, calming influence in the work place, with colorful stories and wise advice to share. 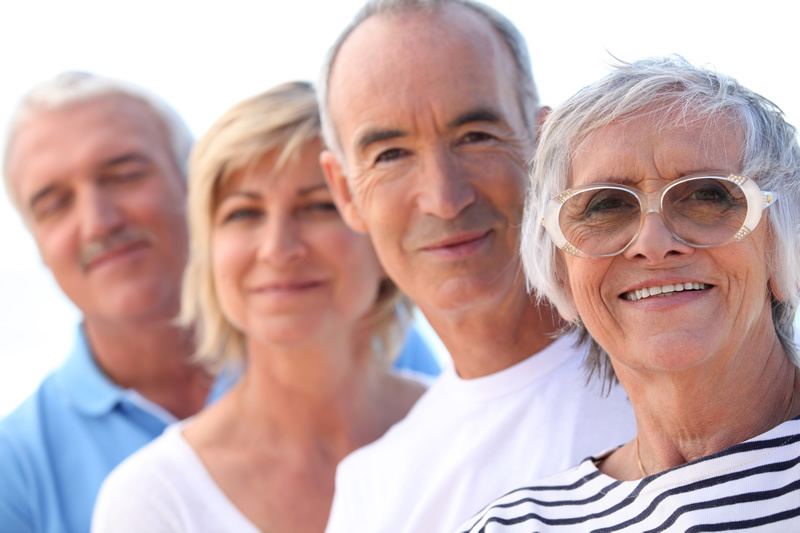 Varied backgrounds – Many retirees have vast backgrounds and skills including work and hobbies. This makes them skilled at a number of things. Check out the article “9 of the best part time jobs for retirees” to see some of the many jobs they can handle. Whatever your business is, there may be a lovely retired person ready to take on a position with you. Less cost – Because they may have other incomes, retirement, and their homes may be paid for, they may not be in it for the salary, but more for the opportunity. Not that you should take advantage, but they may be happy working for less. Remember, you may encounter some cons when considering hiring retired people, like more days of for health care and more doctor appointments. Mobility could get to be an issue as well. However, the benefits you and your company could gain usually will outweigh the negatives here. By hiring older, retired people, it shows you value the community, too. Just as supporting youth in the community is important, older people relish feeling valued and needed; you can make a real difference in someone’s life. You actually may end up gaining much more than you ever thought. ← What Should You Do to Get the Best Hires?